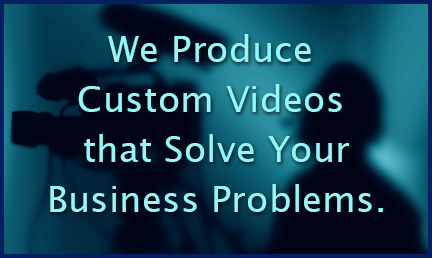 Our Videos Help Businesses Succeed! We work with start-ups, small businesses, mid to large sized businesses and Fortune 500 companies. We understand that it's all about your success, and we're all about helping you get there. First, we'll become a part of your team by learning about your business and your goals. Then we'll work with you to create the right strategy for your video(s). We'll work within your budget to get you the most bang for your buck. See what our clients say about us here. "The quality and timeliness of their work has been incredible. I would definitely recommend Ball Media Innovations for anything video related. From marketing videos to training videos these guys have a really good understanding of your needs and expectations. Elite is extremely glad we chose Ball Media to do this work for us." To our knowledge, we're the ONLY one among Miami video production companies to have formal business and training education and hands-on real life business and corporate experience. We know how to apply this to increase the effectiveness and power of your videos. As Miami's most qualified business video production company, we can create website & social media videos that help bring you traffic, generate interest, and convert viewers to buyers. We're all about producing videos that you get you great results! We don't just point a camera and shoot! We strategize with you to design videos that can build desire for your products and services, and shape a positive company image. This makes us top among Miami video production companies for marketing. With us you'll always get top quality crew members at competitive rates. While some Miami video production companies send their B-team to cut corners, we'll only send highly experienced people who know how to get you exactly what you need. Is your project related to: Manufacturing, Training, Medical Videography, Public Relations? We have extensive experience in these areas as well, and we also offer specialty crews who can fit right into the environment. It's so easy. Just call or use the form on the right to get in touch. We'd be happy to discuss your video project with you. We'll even give you some ideas that can help your video succeed. There's no obligation. We'll Make Things Simple For You! We want our clients to enjoy the experience of working with us. We believe it should feel uncomplicated, and as stress-free as possible. You can have confidence that your video will be created on time, within your budget, and will reflect a high quality of work. The process should be seamless! Read more about our customer service here. “...What initially set our focus on Ball was the cost-effectiveness... but upon talking to Greg, I was immediately impressed by his knowledgeability in the field and his professional, personable manner... He made an effort to learn exactly what we needed and what was important to us... He demonstrated numerous times his commitment to quality and professionalism, often going the extra mile... We are very happy with the quality of the video." "...Through Greg's guidance and his company's expertise, he produced a informative and professional training CD that exceeded our expectations. A true work of art! I would highly recommend Greg's company, Ball Media Innovations to any business that wants to separate themselves from their competition while providing value added service to their customers. Top Qualities: Great Results, Personable, High Integrity"
"Ball Media Innovations is a first class company that has the 'we will do what it takes to be sure you are pleased' philosophy that is unfortunately rare to find these days. Greg is excellent at the work he does. He is focused, creative, organized and meets deadlines. His crew is always wonderful to have on location.... they are first class professionals. Every product that he has produced has been of the highest quality..."
Watch More Video Demos For Our Other Specialties! Video is an amazing tool for our local small businesses, but we understand that it must fit within your budget. We offer packages for social media and website videos to small Businesses in the Miami, Fort Lauderdale and Palm Beach areas. We can also support your growth with other kinds of videos as well, like training or trade show videos. Read more about our Video Production Services for Small Businesses here. You need a Miami video production company that understands how to apply training theory to their educational videos. We do that all the time. We know how to make difficult topics easier, and how to keep the viewers' attention. Read More about our Training Video Production Services here. From plant tours to training videos, we have tremendous experience producing videos for manufacturing plants. Our crews know how to shoot in these environments. We can create marketing and trade show videos, web videos, Human resources related videos, and more. Read More about our Manufacturing Video Production Services here. Read More about our Medical Videography Services Here. Why Choose Our Miami Video Production Company? 1. Business Knowledge & Experience: Our Miami video production company can help you reach your goals. To our knowledge there is no other Miami video production company that comes close to offering the business experience and knowledge we bring to our clients. That translates into videos that are more compelling and effectual. Prior to starting this video company, Greg Ball ran the Burger King World Headquarters Worldwide Video Communications department. Read more about our Greg and our crew members here. 2. Outstanding Service: Our company policy and mission is to give our clients the best possible service and experience - at all times. Read our Customer Service Policies here. Our standards are high when it comes to customer service. We treat you the way we'd like to be treated. For example, we're reliable. We do what we say we're going to do, and we do it when we said we'd do it. Our clients receive great communication, and we're as accessible as possible to you. Simple things like politeness are a part of our business culture. Visit our client testimonials page to see what they're really saying about us. 3. Outstanding Crews: We don't even have B crews as many Miami video production companies do. Our crew members are highly experienced, completely reliable and exceptionally capable. When it comes to video for live events such as conferences, conventions, trade shows, meetings and concerts, no one tops us. We also have specialty crews that can work with business execs, medical environments, manufacturing plants, etc. Click Here to check out our team.